Deniki, a small village located about eight kilometres south of Kokoda,was the seventh staging post on the Kokoda Track. Higher than Kokoda, it was possible from Deniki to see into the Yodda Valley and discern Kokoda and its nearby airstrip. Deniki figured prominently in the history of the 39th Battalion. It was to this area that the elements of the battalion that had been engaged at Oivi withdrew on 27 July 1942. Here they met up with Lieutenant Colonel W.T. Owen and the small force that had withdrawn from Kokoda. 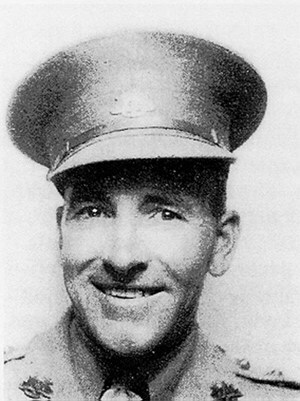 Together the troops returned briefly to Kokoda before again withdrawing to Deniki after a short engagement on 28 July which saw the death of Lieutenant Colonel Owen. Gradually the various companies of the battalions arrived at Deniki after marching over the Kokoda Track. By 6 August there were over 600 troops including about 40 from the Papuan Infantry Battalion. On 4 August Major Alan Cameron, the Brigade Major of the 30 Brigade, (of which the 39th Battalion was part) arrived to take command of the 39th Battalion. 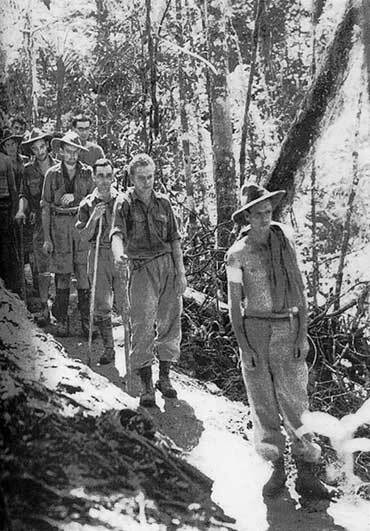 He ordered an attack to regain Kokoda, but the main part of his force was halted north of Deniki. The following day the Japanese attacked Deniki without success. It was not until 13 August that all the companies that had been deployed to attack Kokoda had returned to Deniki. Lieutenant Lolonel Ralph Honner C.O. 39th Battalion.. (from Those Ragged Bloody Heroes Peter Brune). The previous two weeks had been a trying time for the young soldiers of the 39th Battalion. Some companies had an average age of only eighteen. The soldiers were tired and short of food but put up a firm defence when the Japanese attacked again on 13 August. When the Japanese attack eased, however, Major Cameron decided to withdraw his battalion up the hill to Isurava and the troops were in their new positions by the end of the day. Major-General Horii had some 13,500 troops of whom some 10,000 formed a well-balanced fighting group consisting of five infantry battalions, mountain and anti-aircraft artillery, engineers and pioneers. They were supported by native carriers. The 39th Battalion had been forced back from Kokoda to Deniki and then to Isurava by a well experienced and stronger Japanese battalion with engineer support, but was soon to face attack from a much larger force. During the counter-offensive in October and November there was no fighting at Deniki. After the hard fought battle at Eora Creek the Japanese withdrew and on 2 November the leading units of the 2/31st Battalion passed through Deniki and entered Kokoda.